Surveillance is the close observation of a person, place, or object. It is the practice of watching a subject in order to document and identify any of the contact, interactions, or whereabouts of the subject. Surveillance investigations can include:Missing person searches, Cheating spouse investigations, Recurrent theft, Worker’s compensation cases and Vandalism. Surveillance requires experience and creativity to solve cases and uncover the facts. 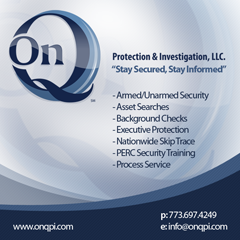 On Q Professional Investigations handles all cases and situations from single investigator assignments to multiple team investigations. Our investigators are equipped with state-of-the-art cameras and video equipment, as well as advanced communication capabilities for observation and documentation of evidence in all surveillance cases.